It's time to get started on our Halloween Joli Paquet! I'm so excited and hope that you all are as well. I've been hearing what all of the artists have in store for you this season and it's going to be fabulous. Tutorials will start next week, and new tutorials will be posted on Tuesdays and Thursdays leading us up to Halloween. You will be able to preview the kits on Wednesday, September 30th, and will go on sale on October 2nd. We wanted to make sure we got the kits done early so that you have plenty of time to craft before Halloween. And starting now, you can join our Trick or Treat swap! This is the first Joli Paquet swap, and we're all very excited to be hosting this. You will create an adult style "Trick or Treat" bag for your partner and then fill that bag with treats. The bag should be a standard tote bag size and you're welcome to either create it from scratch or purchase a tote bag from any craft store and embellish it in the style that will make your partner swoon. Fill it with her favorite candy treats, crafting treats, decorating treats, or anything you think she will adore. Please try to make the entire package have a value of $20-$25. All you need to do is leave a message here including a link to your blog and your email letting us know you would like to participate. If you have any questions, please feel free to email me at cerri at thelittlepinkstudio dot com. *Unfortunately, because of the time constraints I will have to make this swap for US participants only. I'm sorry about that!! Next time I will try to get the swap going sooner so that our international friends can participate. Sign up for the swap until Wed. the 23rd. Packages are to be in the mail by October 17th so that your partner will have plenty of time to enjoy her treats! 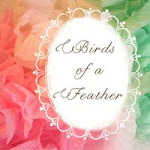 Please feel free to grab the ultra adorable blog button that Cindy created for us to show you're participating in the swap! See you next Tuesday for our first Halloween tutorial! EDITED TO ADD (9/24/09) Swap signups are now closed. Thanks so much for signing up! Ooo, Ooo . . . count me in! 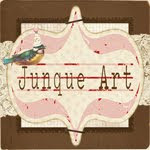 I'd love to swap goodies with some creative, talented lady who visits Joli Paquet!!! My blog, however, is in it's super infancy - I'm still tweaking it. Which is hard since I'm not the most computer savvy person out there! But I'm trying (any suggestions/hints/ideas from anyone are greatly welcomed!). Thanks for arranging the swap. And I can't wait for the fun projects to begin! Please include me in your swap, sounds like fun! 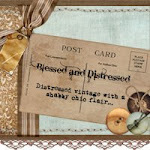 My current blog, which is new, is www.homeadornments.blogspot.com. I can't wait, this is my 1st swap!!! I am so excited - I've been looking for another swap since 2008when i participated in an Easter delight. Please, please - count me in ! Please excuse me for leaving so soon. . . . I'm headed to JoAnns for some fabric :) I hope there is someone out there who loves vintage lace ! I LOVE Halloween - I am in!! can't wait to start these projects..thanks for holding this free site for us all. It is much appreciated. Count me in! I love halloween swaps! It does need to be a Halloween themed bag tote bag. I'd love to be in on this. I wanna play too!!! Count me in! Oh, please count me in. I love swaps. Count me in! Thanks so much, can't wait for all the fun! I'm swamped with SB swaps, but I've been sad to miss out on all the Halloween swaps. I'm so happy you are all offering this one. I am so in. :) Thanks for having it. Yay! Count me in, can't wait. I have followed Joli since the holidays last year, and I would L*O*V*E to swap! My blog is off the beaten path at: www.m-verdi.com (click on *Life on St. Martin's Hill*). 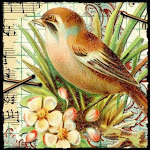 PS~ can I put info about Joli Paquet on my blog? Cerri, I'm glad I stumbled across this! I need to get out and buy my supplies! Halloween swaps are my downfall. I would love to participate. I'm one of the Sweet Goodness Girls, so am a veteran swapper. Looking forward to it! There is a Joli Paquet button and a swap button as well! Please count me in! I can't wait. I would love for this to be my first swap. Please include me! Hello, I would love to join in.Please sign me up. Last week, I wanted to hold onto late summer with all my being. But, alas, upon returning home to 40 degree weather, I'm suddenly ready for fall :>) Please count me in for the ToT swap. Hiya! Put me on the list for the swap! This will be my first Halloween themed swap...I'm excited!!! I would love to participate in this swap - I just love Halloween and have been wanting to try my hand at altering a tote bag for a year now. Please count me in!!! I understood that the tote is to be Halloween-themed but what about the contents? It can be treats of all kinds, right? Wow already planning the bag and goodies. YES! Count me in! I love Halloween. It's my favorite time of the year. I have been waiting for Halloween swap. 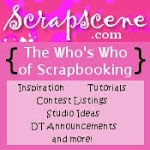 I haven't been able to blog in a while, but my blog address is http://thesweetlifecreations.blogspot.com/. Can't wait! Cannot control myself...Gotta be in your swap!!! I would LOVE LOVE LOVE to do the swap! I am a major collector of all things Halloween! www.tangiebaxter.com my personal blog is www.tangiebaxter.typepad.com. dear jane says to count us in too! We are excited to be a part of this new tradition. I mistyped our email. It is supposed to be icingonacupcakedj.com.